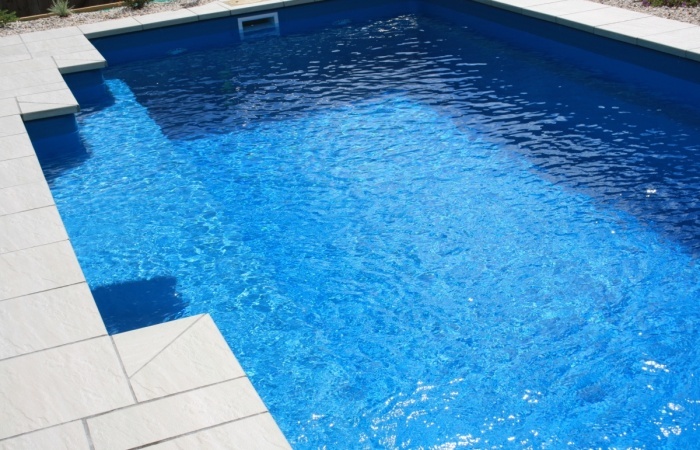 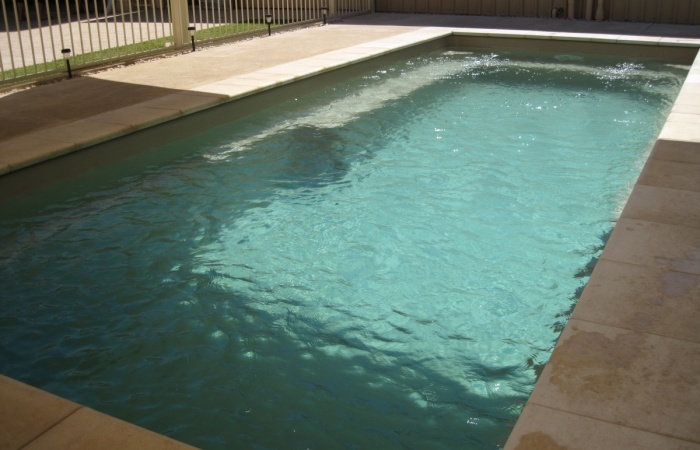 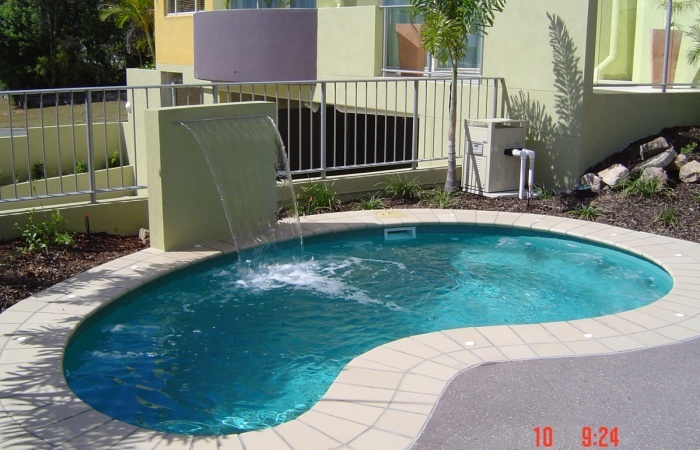 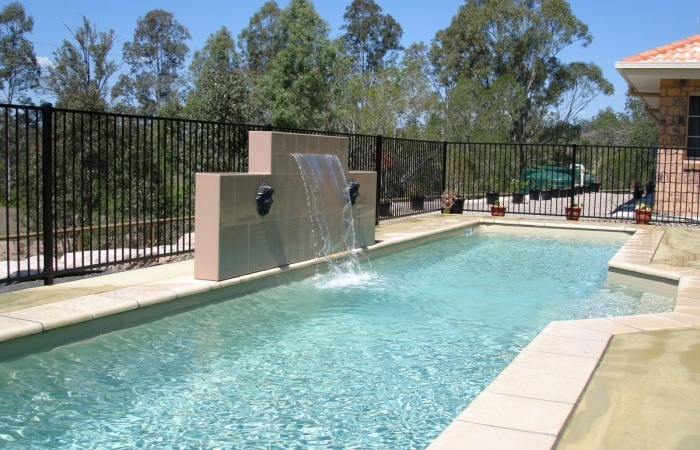 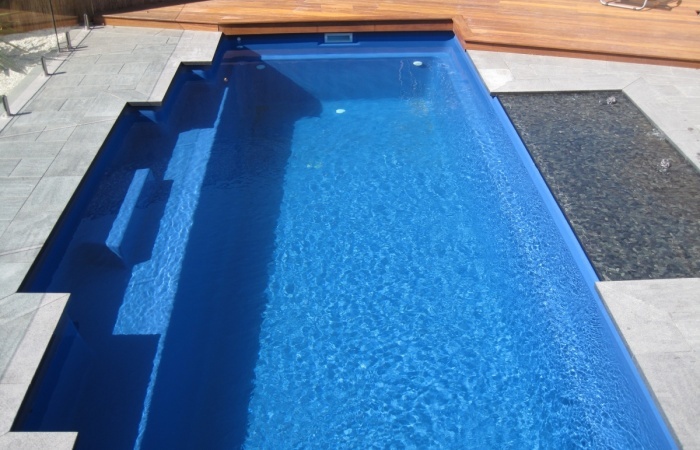 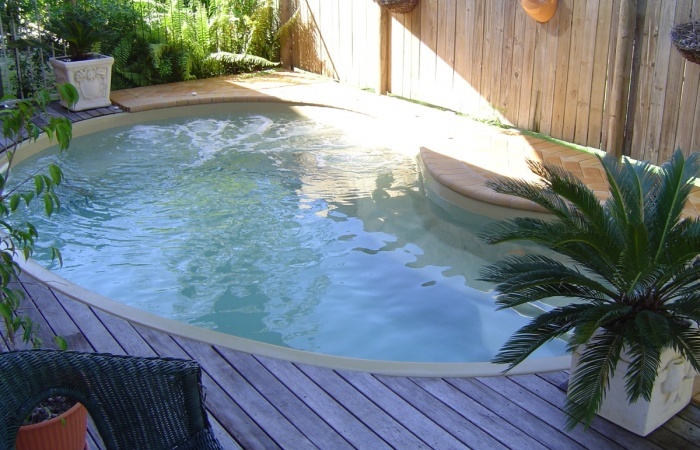 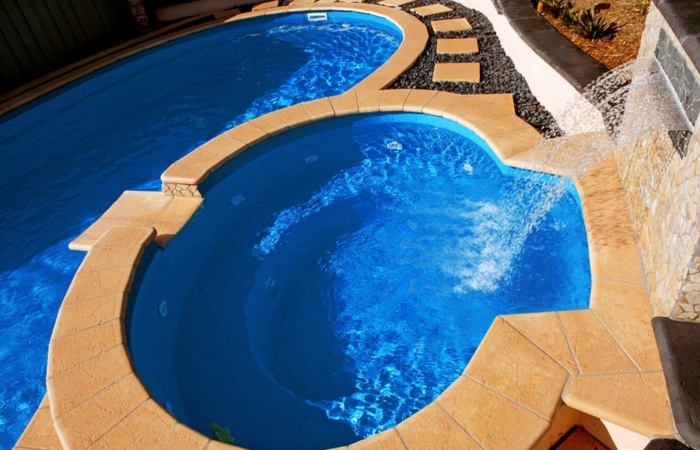 Our concrete and fibreglass pools are installed by the Moggy’s Developments team. 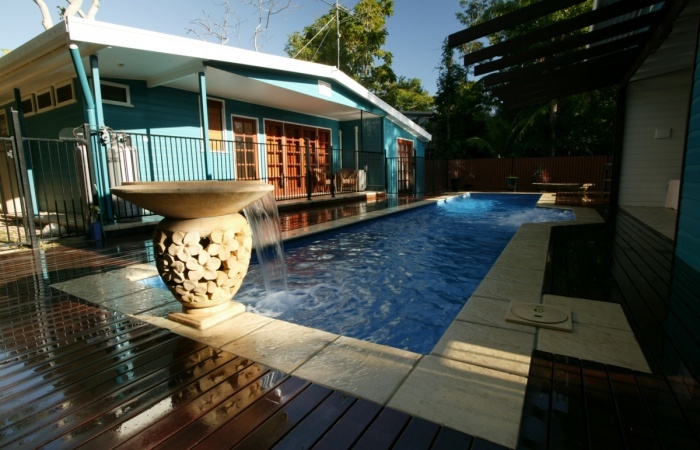 Moggy’s Developments first started operating solely as a building company in Mackay in 2010, building high quality, award winning homes and sheds. 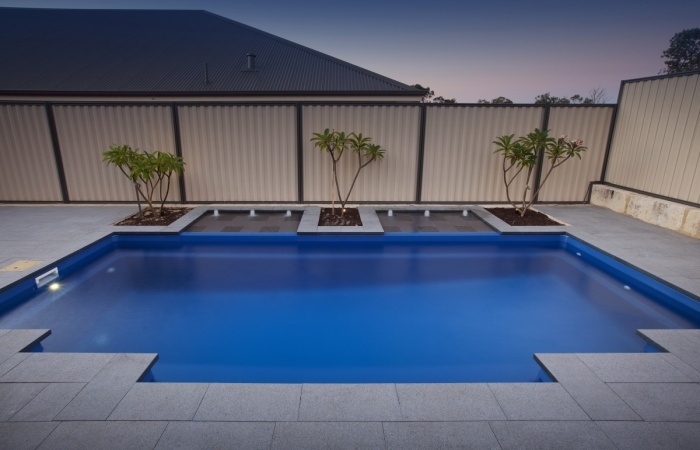 James Mogford, a multi award winning builder, made the decision to add swimming pool and spa installation to the Moggy’s portfolio in 2015, after noticing a gap in the service market and wanting to take a more streamlined approach, ensuring that the house, shed, pool and landscape construction work seamlessly together. 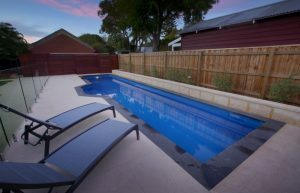 Therefore creating a more organised and relaxed build process for the client. 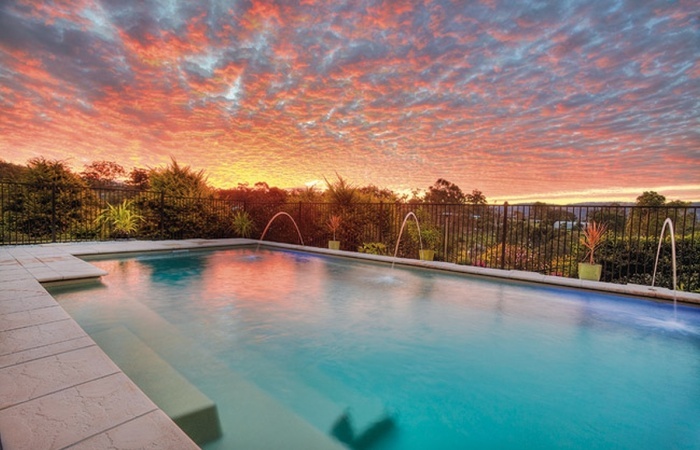 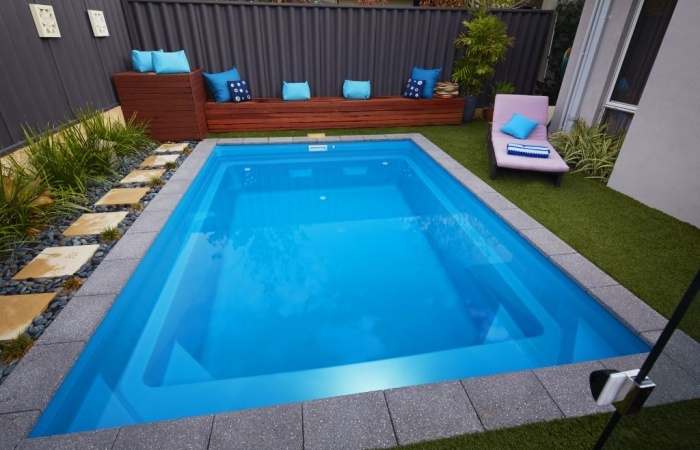 Moggy’s have partnered with the Ocean Reef Pools group who specialise in above and in ground fibreglass pools and offer not only the prestigious 5 Tick Australian Standards award but also a Life Time Warranty, which perfectly matches our high quality expectations. 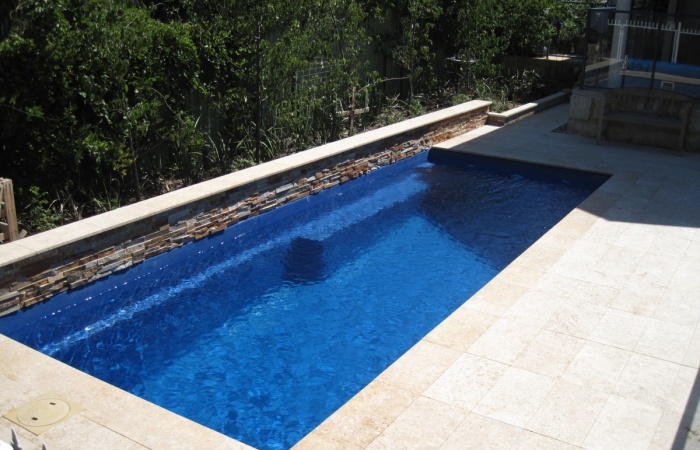 We also design and build concrete pools, so if your space needs something a little different or you simply prefer a custom designed concrete pool, we would be delighted to create your unique pool. 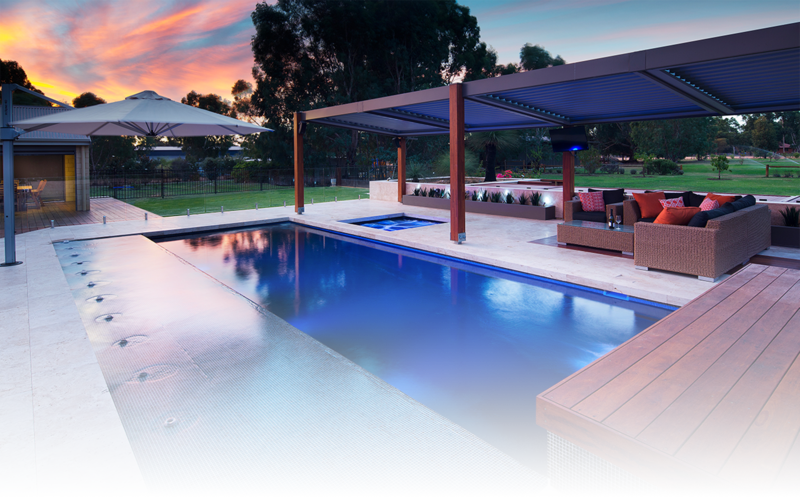 We take great pride in our work and you can be sure we’ll create an ideal outdoor living space that suits your lifestyle and your budget. 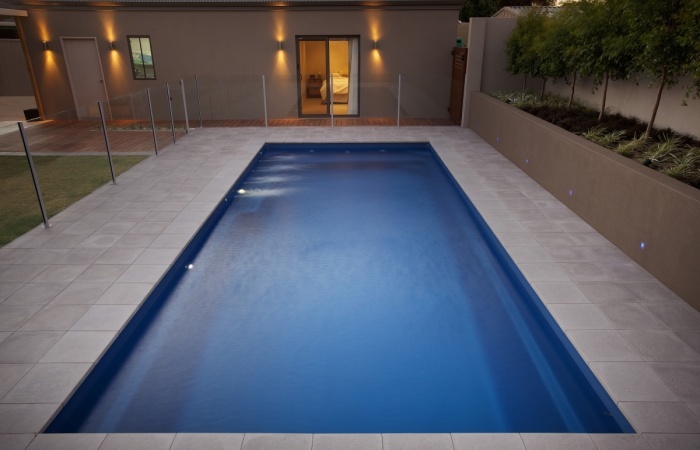 One of our latest designs. 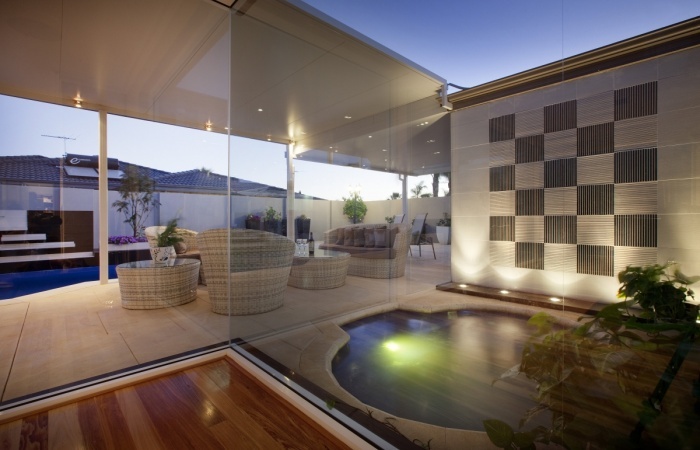 The visual simplicity of this contemporary square styling design, perfectly compliments your outdoor entertaining area. 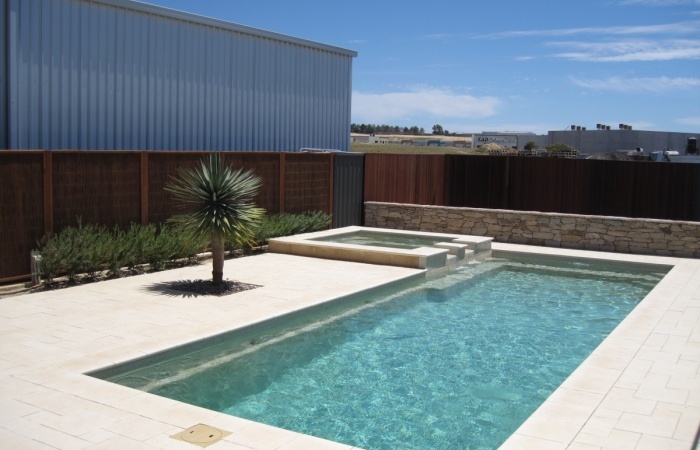 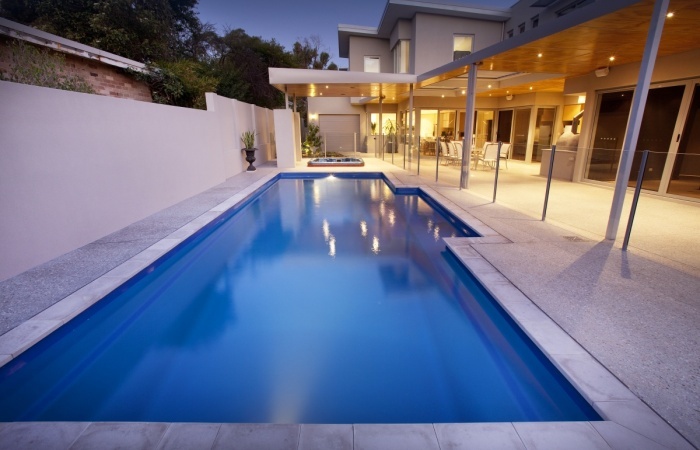 Integrated with modern surrounds and landscaping this swimming pool design is simply stunning. 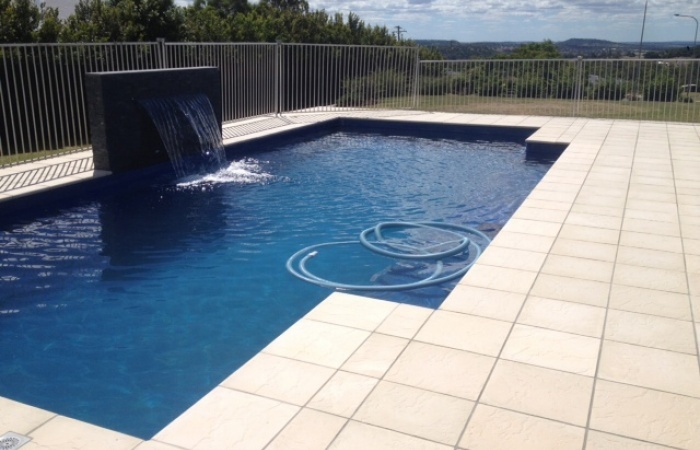 Generous seating across one end of the fibreglass in-ground swimming pool and half way along one side, makes a great conversation corner whilst sitting in clear cool water on hot sunny days. 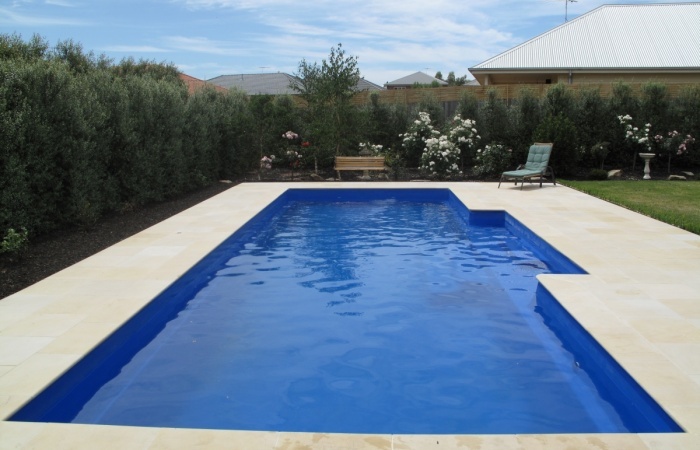 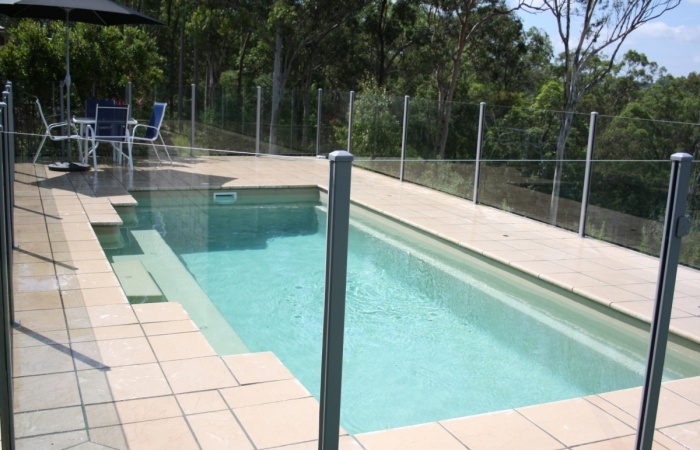 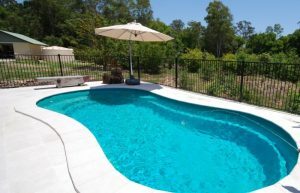 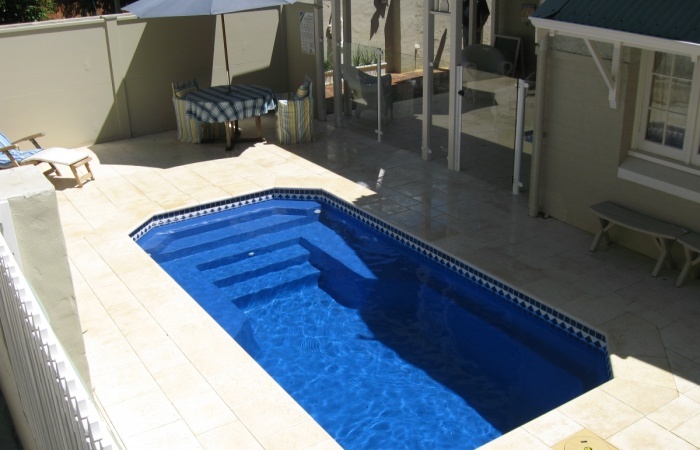 The Billabong swimming pool range comprises ten lengths and widths with options to suit all requirements. 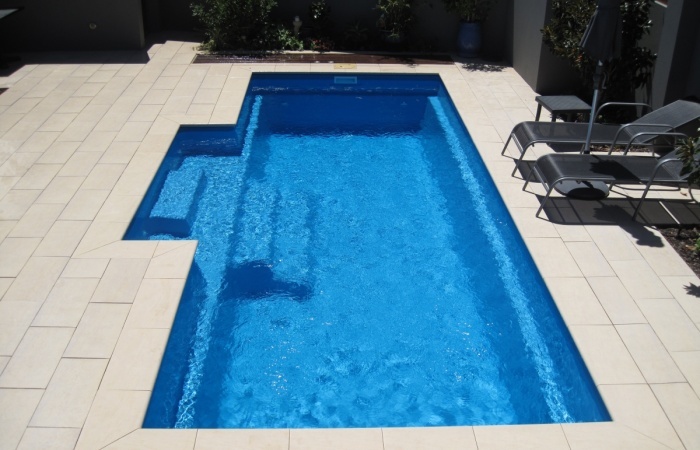 From a super sized 10.5 metre to a slimline 4.2 metre, this swimming pool design is perfect for today’s busy lifestyle. 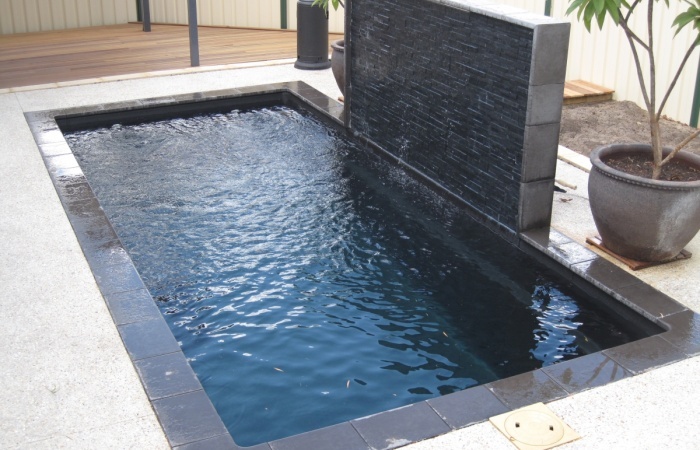 With higher density living on the increase and smaller private exterior spaces, the 4.7 and 5.5 Billabong Plunge Pools have been specifically designed to be utilised in such areas. 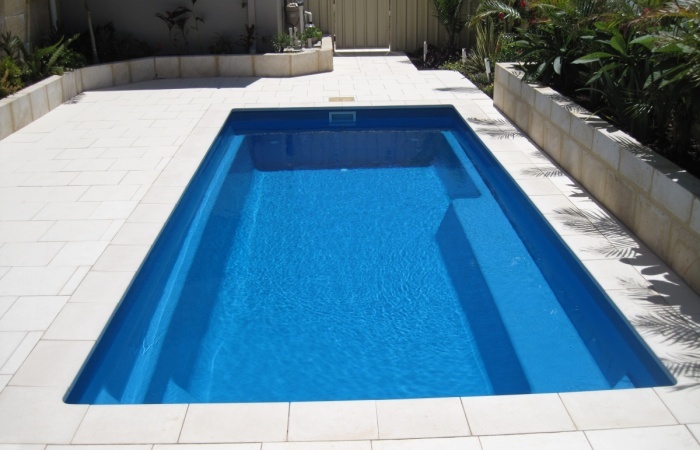 The 4.2, 4.7 and 5.5 metre swimming pools are not only an in-ground pool but are also available as an above ground option. 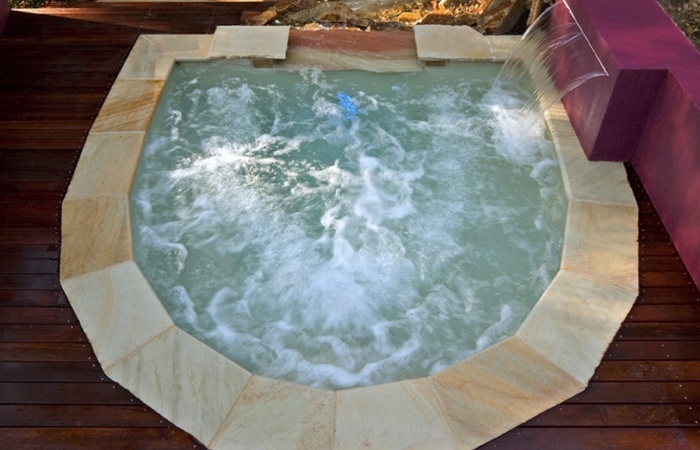 Look into incorporating one of our square spa designs that feature cleverly designed over flow openings. 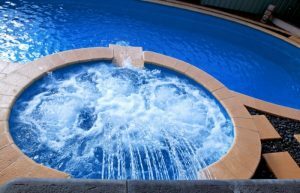 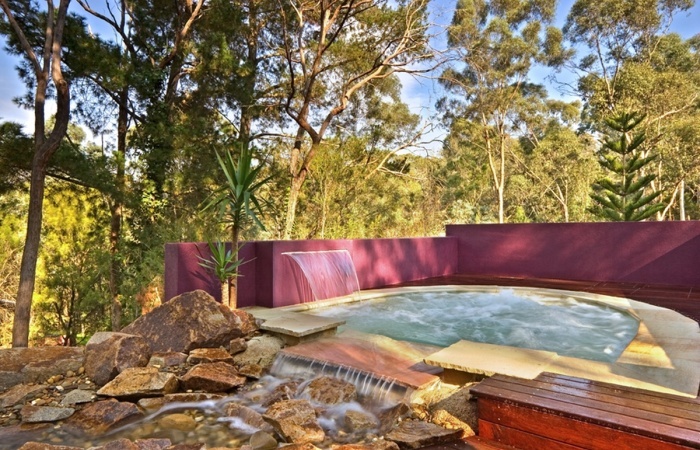 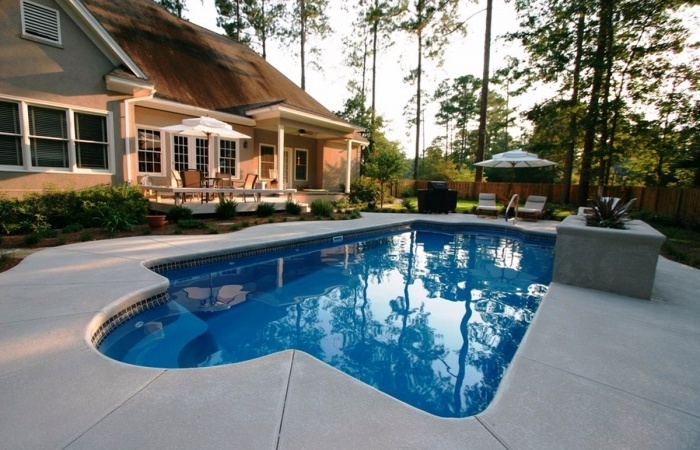 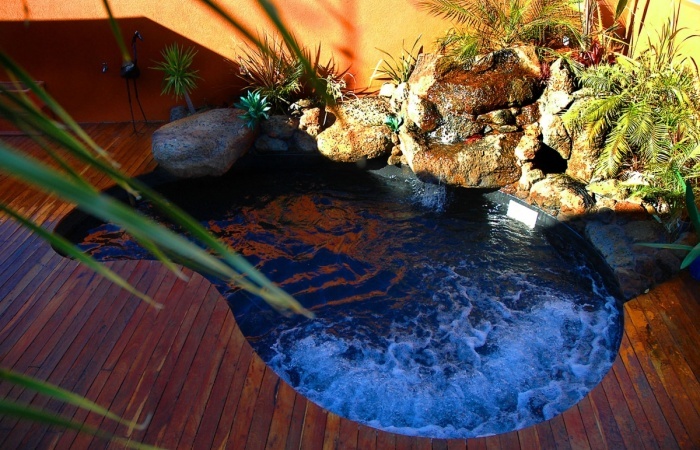 Position this spa at one end of your pool and you will create cascade water effects into your pool. 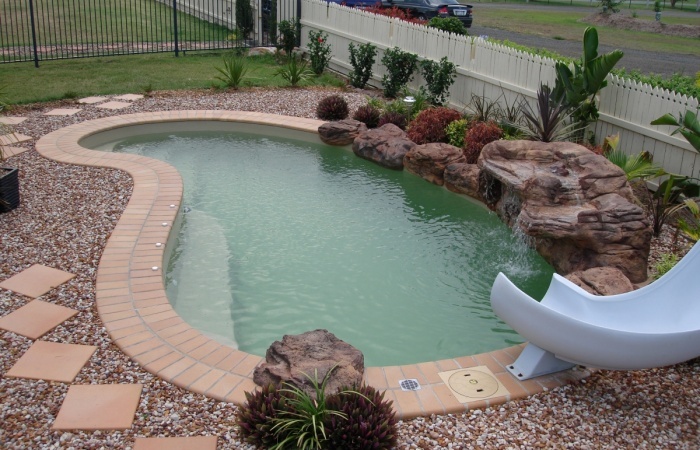 Alternatively install the spa to overflow into an artificial stream and feature. 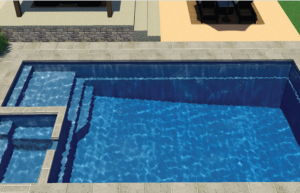 Similar to the hugely popular Majestic Range, our Monaco inground swimming pool offers an open, unhindered swimming area with the swim-out and steps set back from the main swimming area. 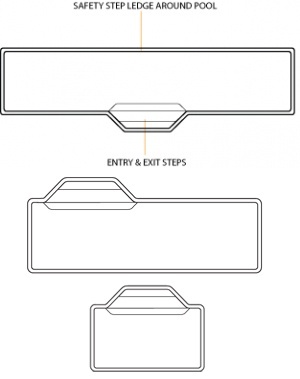 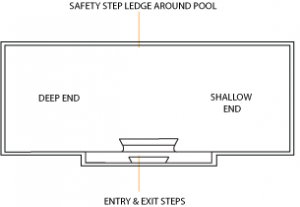 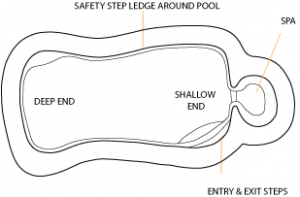 An ‘Easy Step’ is an added feature to assist safe exit from the pool without limiting the swim area. 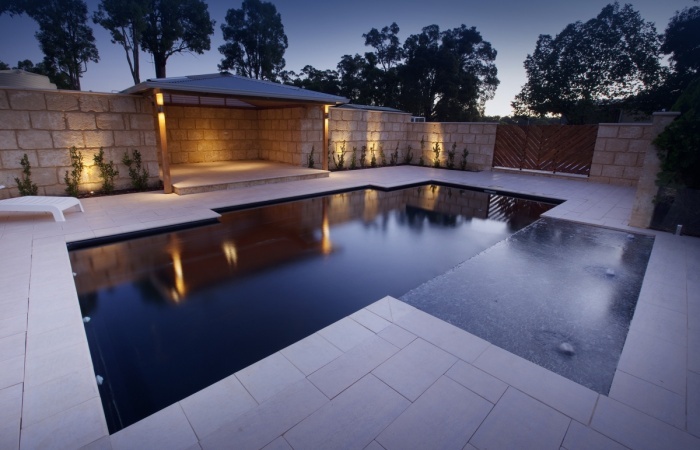 This simple geometric shape along with the right landscaping design enhances its impressive appearance even further. 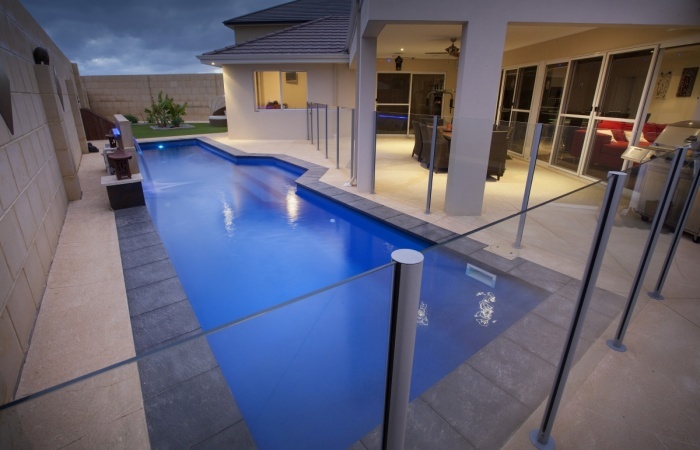 Why not add a glass fence for a touch of sophistication. 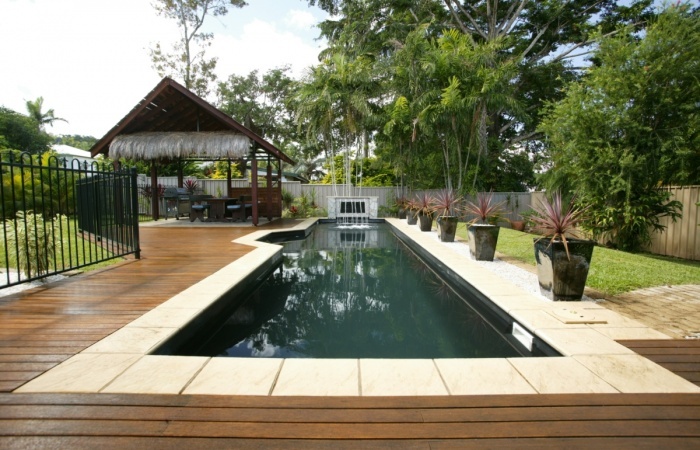 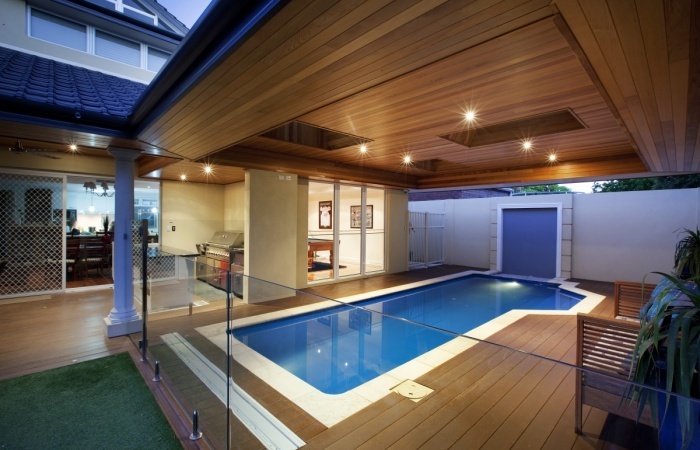 With large tiled surrounding pool area, timber decking or a combination of both, the overall affect is truly ‘Majestic’. A stunning one piece configuration that has been designed with the whole family in mind. 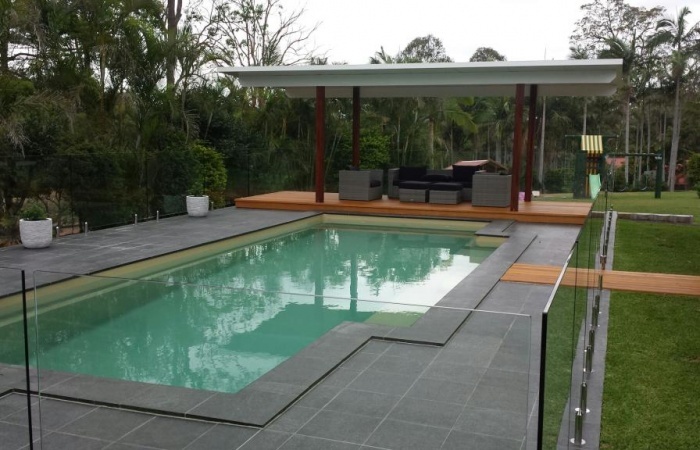 The entry point steps down into a versatile platform that is ideal as a kids play area or water lounge to sit and relax in. 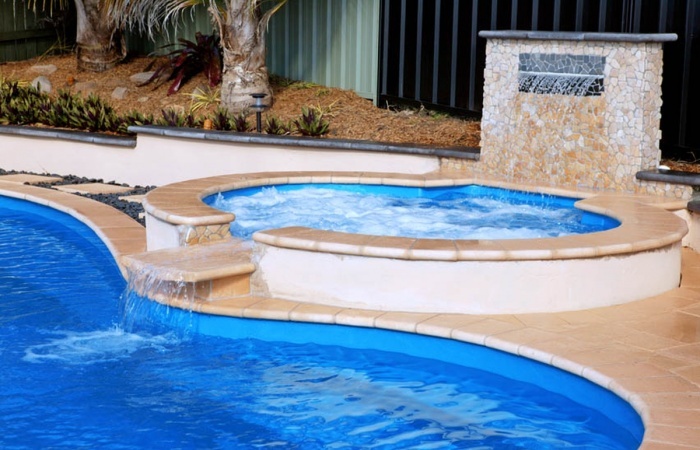 Designed with dual spillway’s the pool & spa can run simultaneously eliminating any additional power costs, alternatively they can be run independently. The generous swimming area has been designed to be totally un-obstructed, which is ideal for swimming laps and active families. There is no other pool that can offer all of these features. 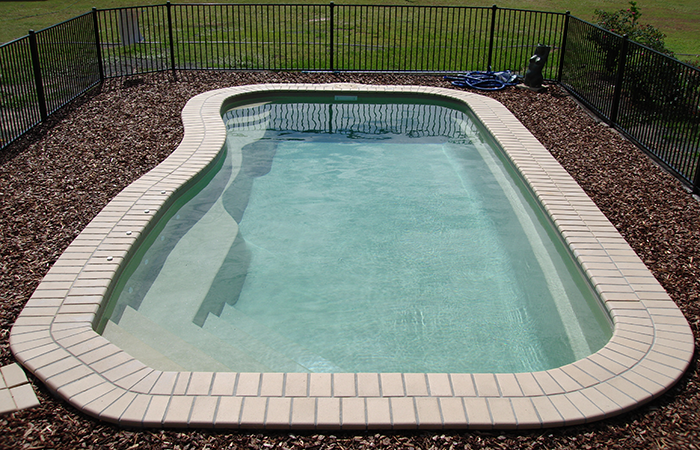 With its square lines, designer looks we are sure your whole family will love it. 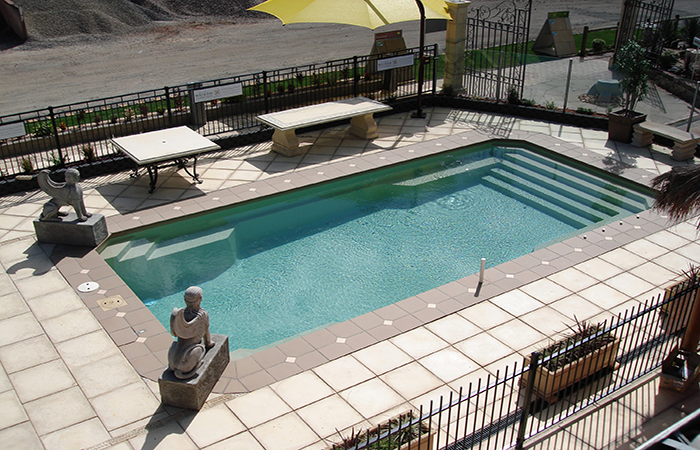 Timeless elegance is the key note of the Roman range of swimming pools. 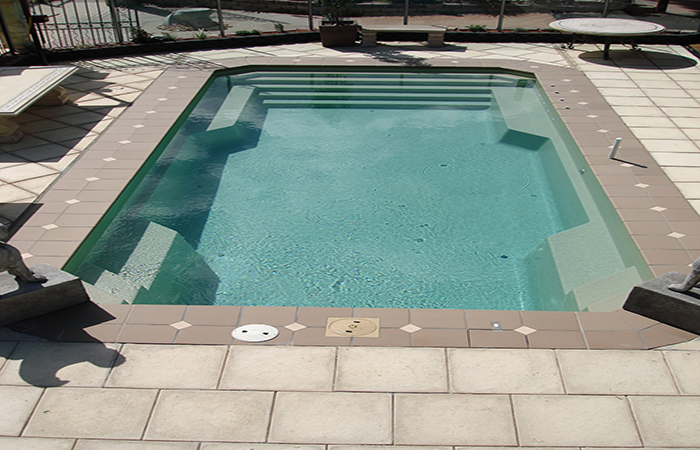 Tuscan beauty matched with a formal yet practical design. 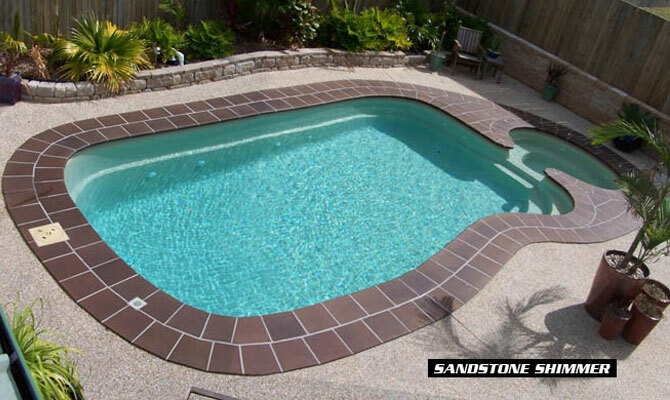 Swim out steps and seating fit perfectly into each end of the pool without encroaching on the length of swimming area. 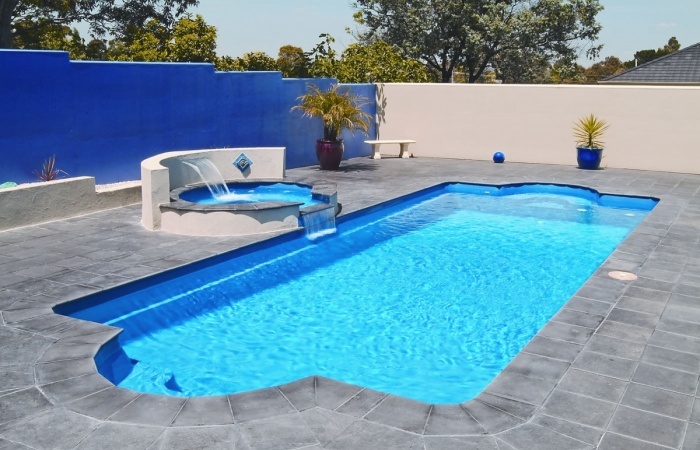 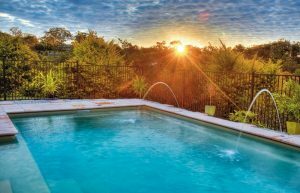 The deep end formal seating area in this pool can be easily transformed into a relaxing spa nook, with the clean line design of this swimming pool complimenting your entertainment area. 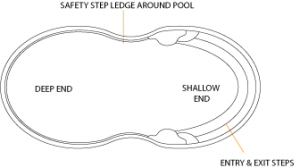 As with all our fiberglass swimming pool designs safety edges and non-skid surfaces have been incorporated helping to keep our junior swimmers safe. 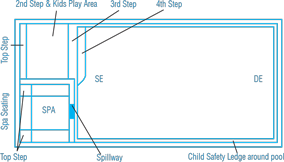 A choice of five sizes provides many options for planning. 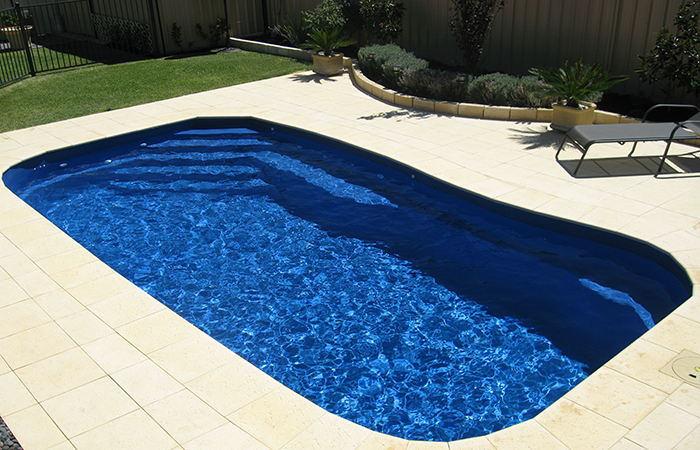 One of the 9.4 lengths even has a slimmer width available which is ideal if space is limited. 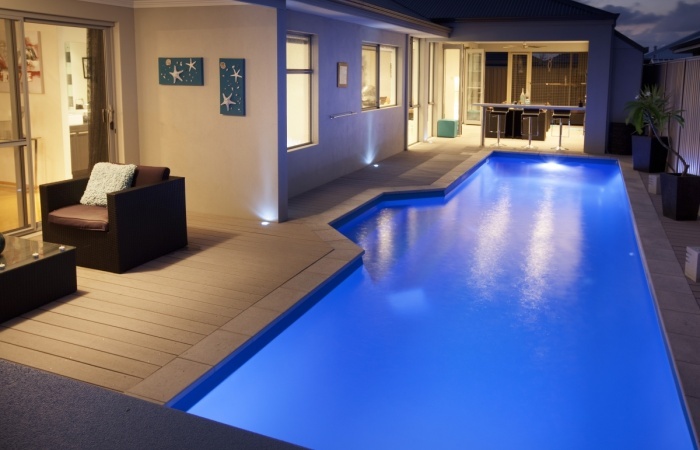 Use of lighting in the pool creates magical and romantic effects at night, and together with endless varieties of tiling, decking and landscaping, the effect is simply stunning. 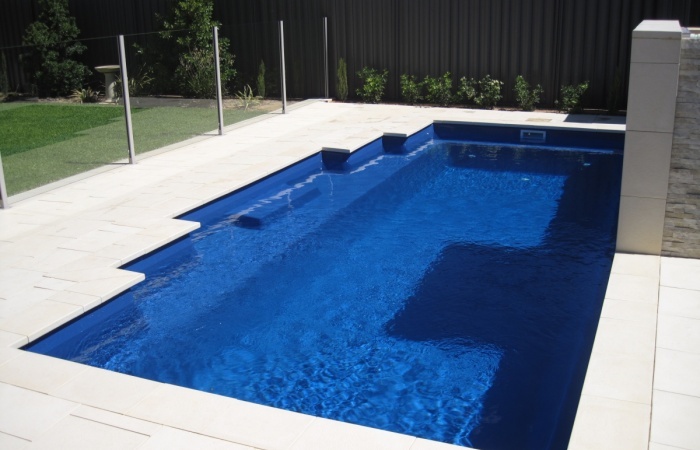 The Lap Pool Range has been designed to provide superb opportunities for exercising, training and at the end of your session, just relaxing. 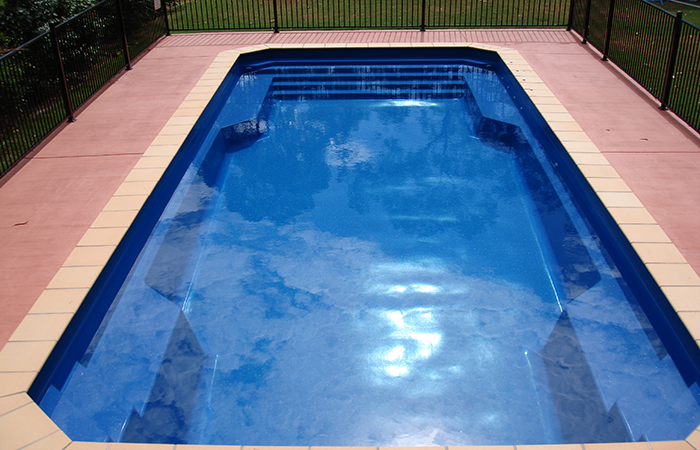 Two lengths, 8 and 12 metres, allowing you to really work out in the safest and most effective way. 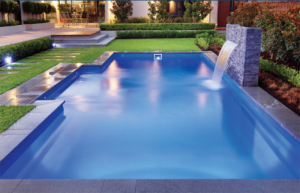 With the depth of these swimming pools being 1.35m overall, this sleek modern pool is also perfect to walk laps assisting with maintaining fitness levels against the resistance of your crystal clear water. 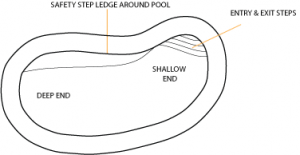 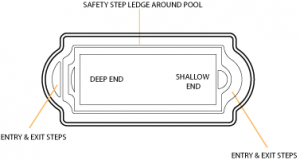 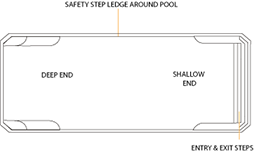 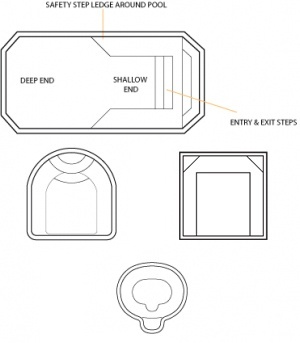 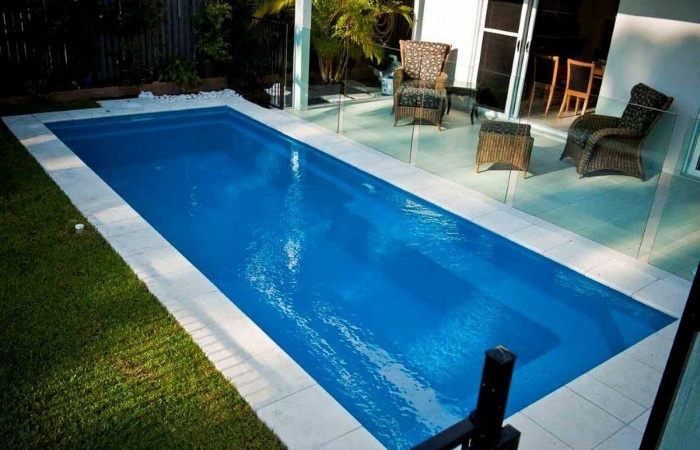 Careful swimming pool designs include a large width entry and exit set of steps positioned in the middle of the pool and recessed away from the swimming lane. 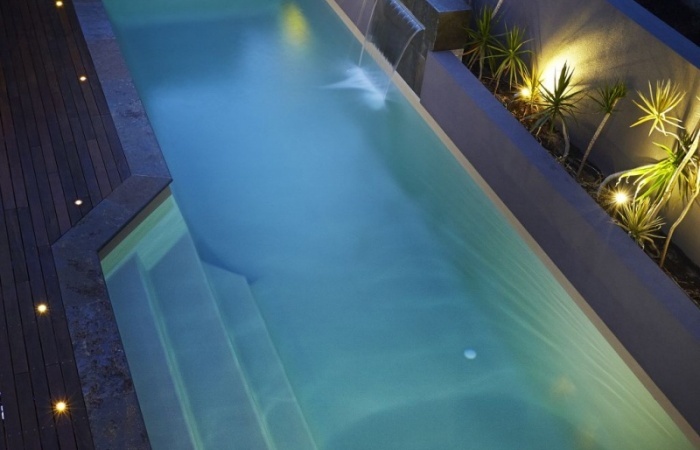 The Lap Pool is perfect for positioning in narrow areas on your site and with clever use of lighting, even water features can make a stunning backdrop to your home decor. 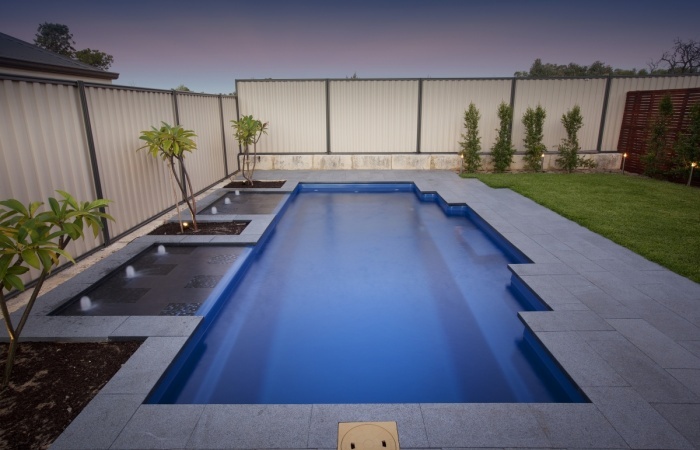 The Courtyard Pool, at 4.6 metres in length is designed for exercise swimming against powerful jets of water or doubles as a plunge pool on hot summer days. The combination of centred steps and ample seating provides the perfect setting for just sitting and relaxing. 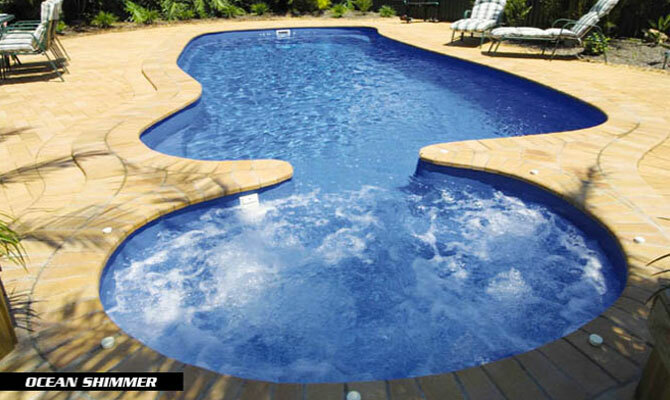 Formal and elegant, the Grande design lives up to its name. 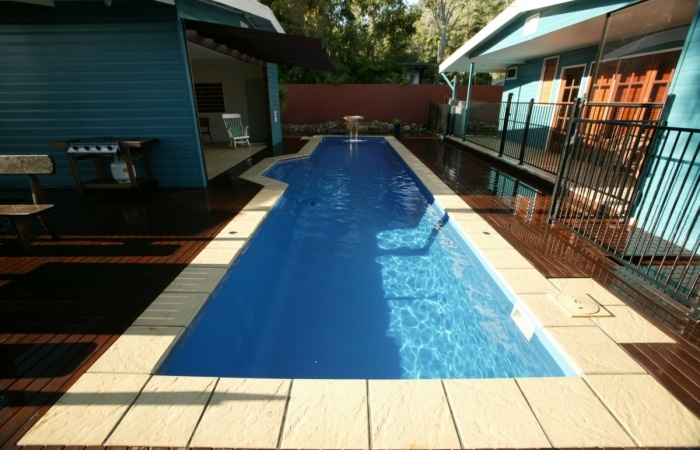 Steps and a swim-out area across one end, with conversation-seats on the other two corners make this an ideal entertainer, relaxing pool shape. 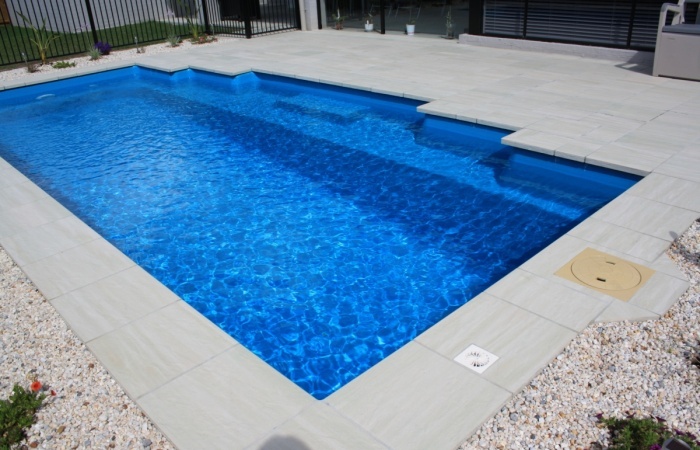 Smoothly curved corners, generous dimensions with perfectly positioned steps and a swim-out in one corner, the Pacific design is extremely popular. 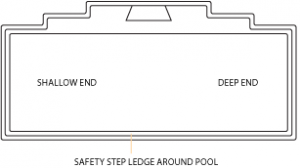 A small step ledge is moulded in around the inside walls of the pool – perfect for little feet to stand on as their owner grips the edge of the pool ready for the next swim. 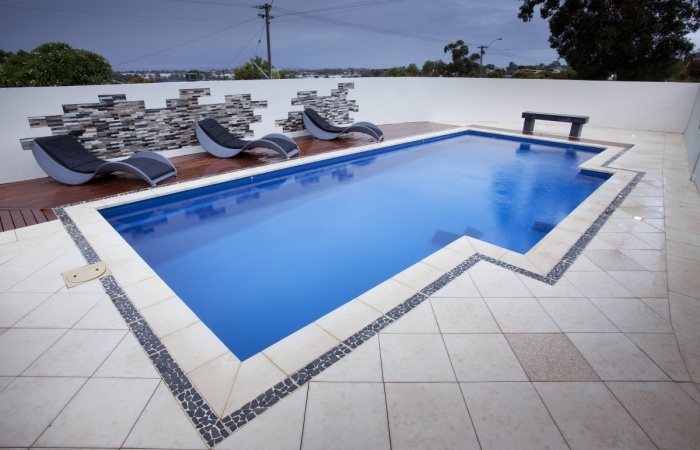 The Pixie’s design focus was of our lifestyle, for all your leisure and family activities with children being the number one fans. 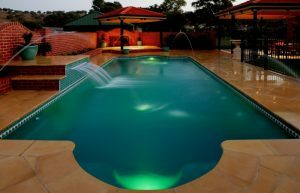 The Opal’s design focus was of our lifestyle, for all your leisure and family activities with children being the number one fans. 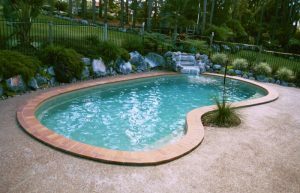 The Oysters’s design focus was of our lifestyle, for all your leisure and family activities with children being the number one fans. 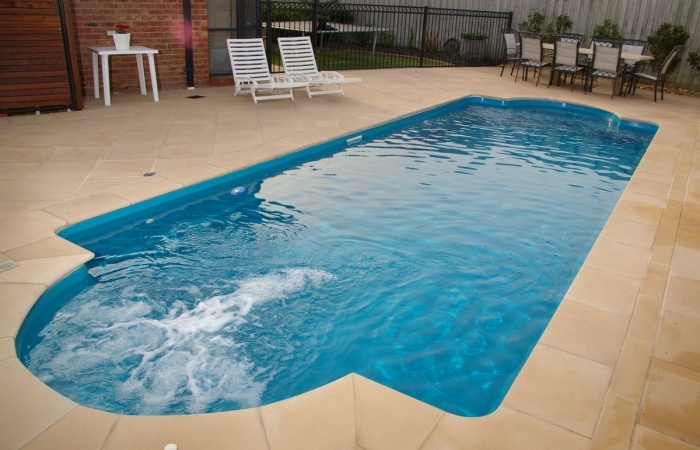 With generous steps in the shallow end and seating in the deep end, this truly is a family orientated pool. 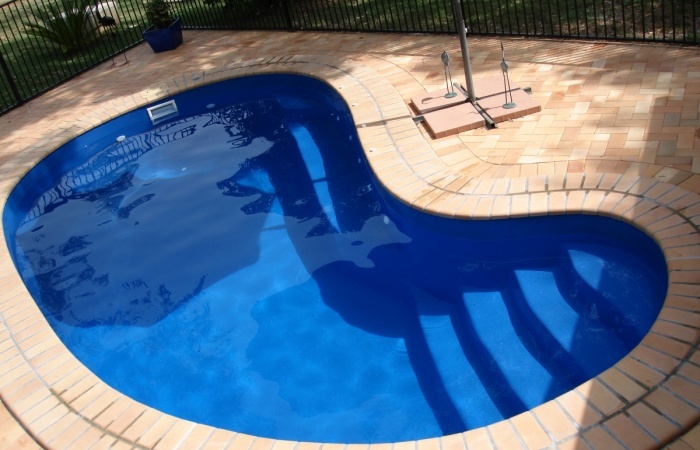 As with all the Barrier Reef shapes, the usual safety features have been included in the Manhattan range. 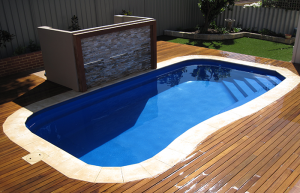 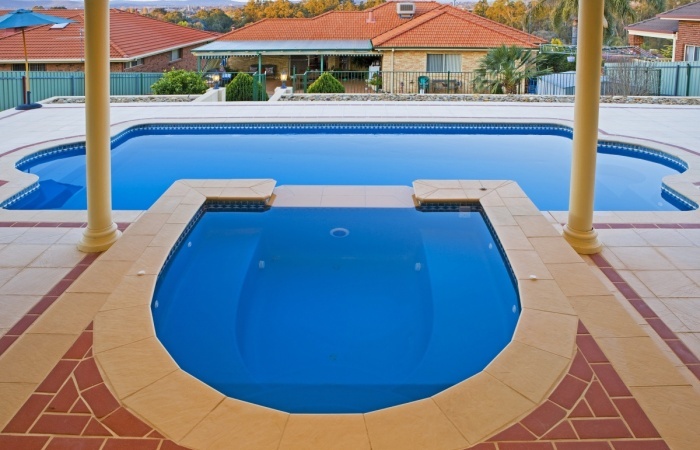 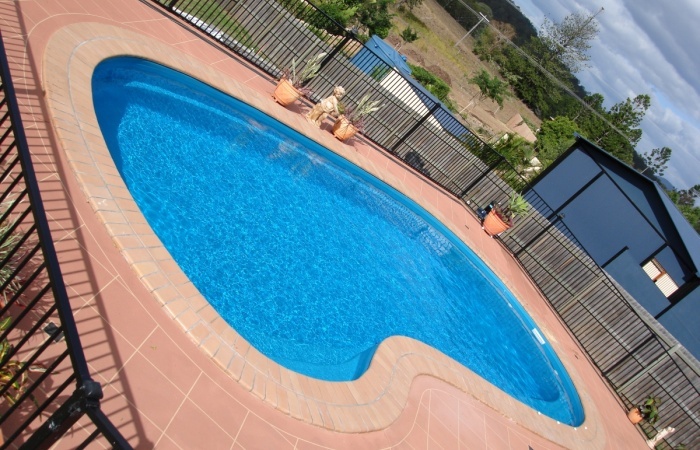 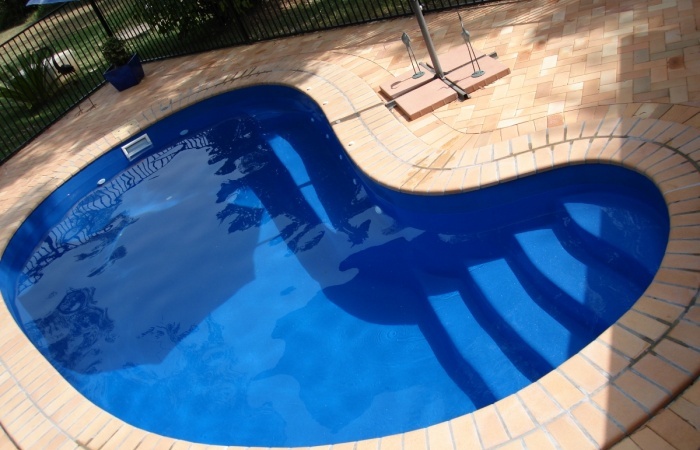 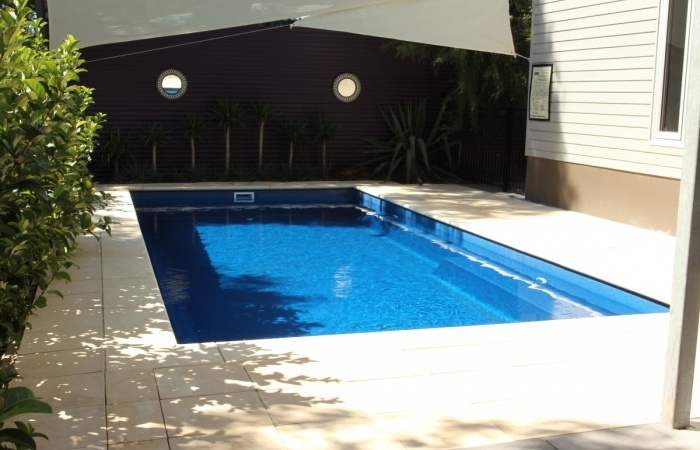 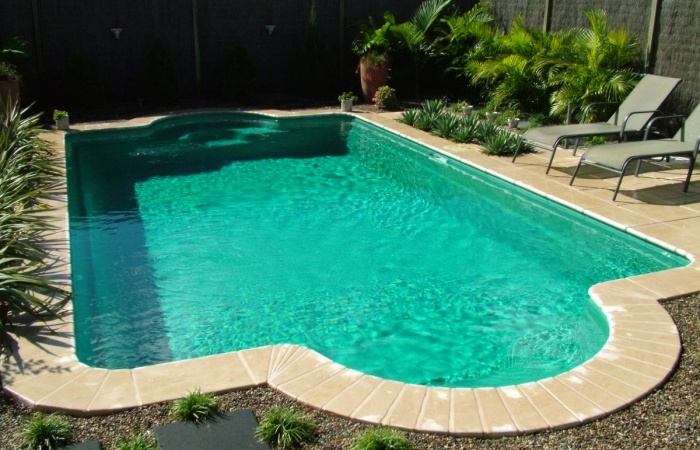 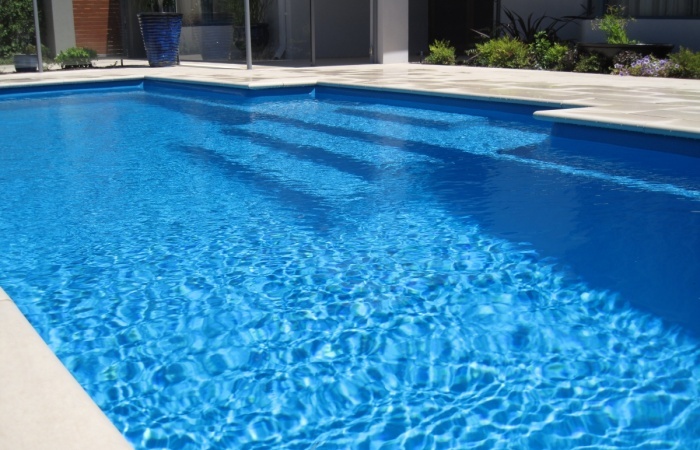 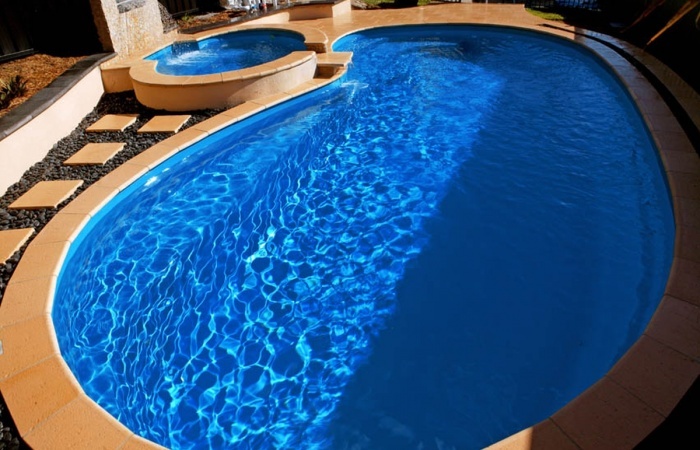 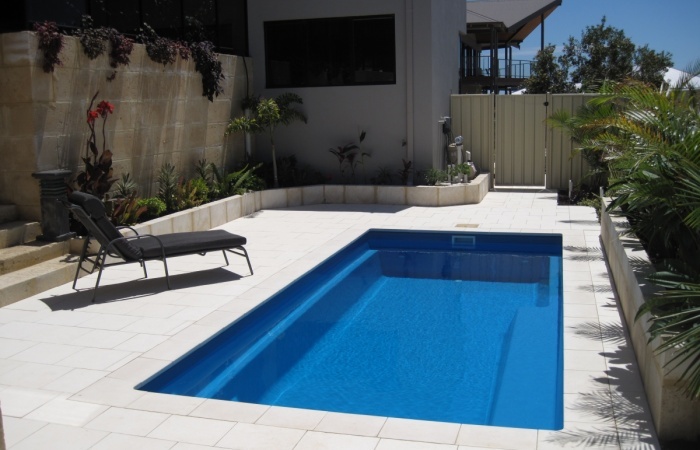 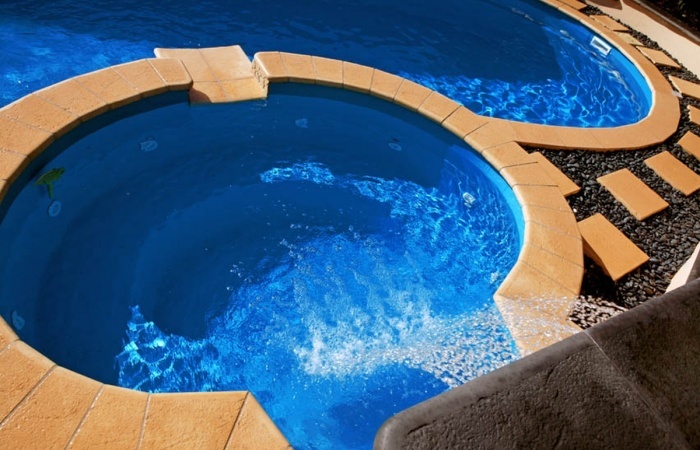 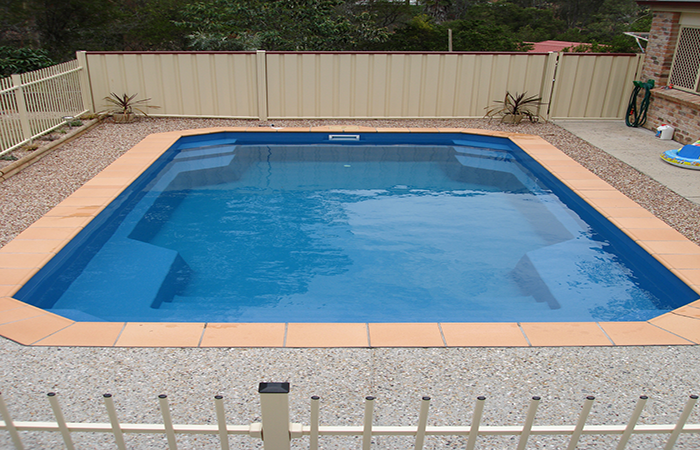 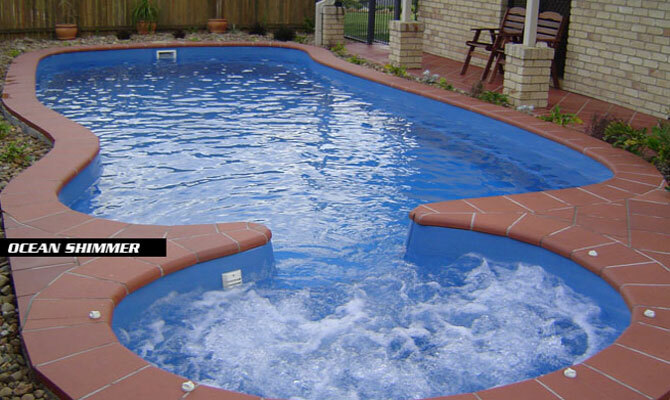 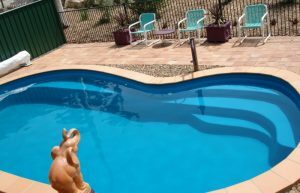 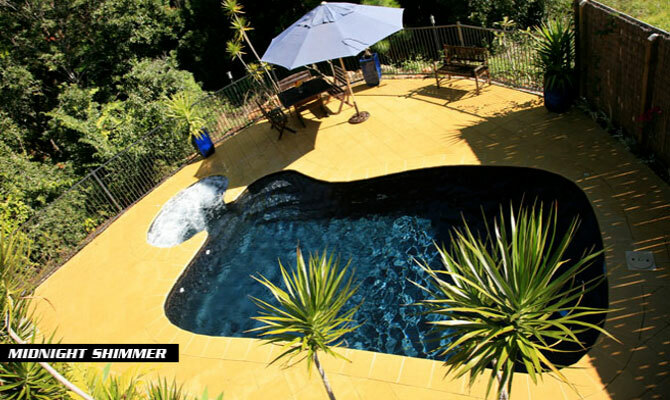 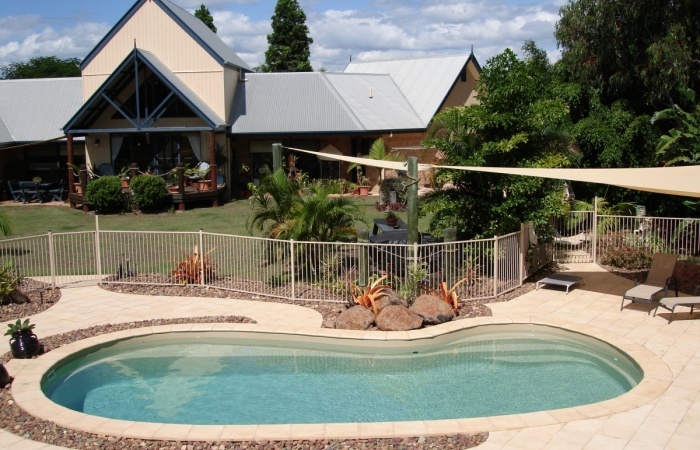 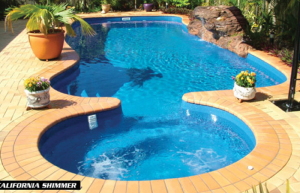 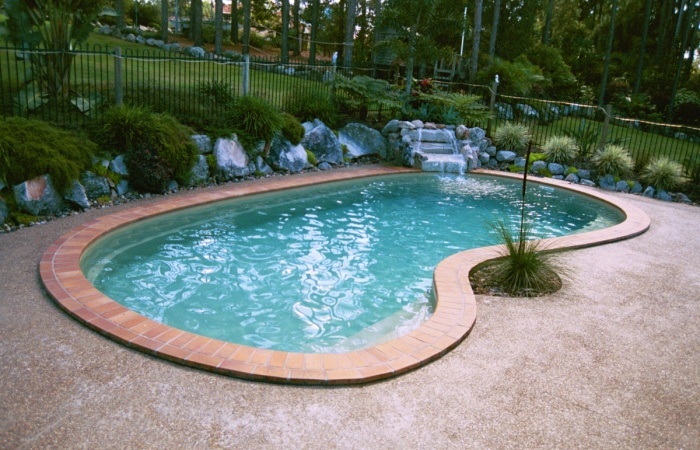 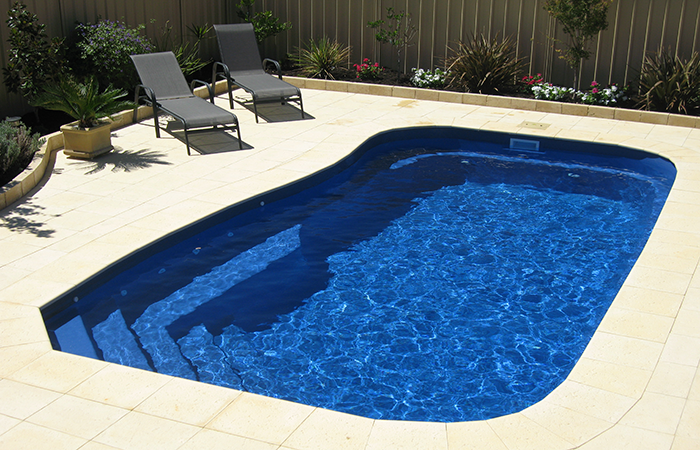 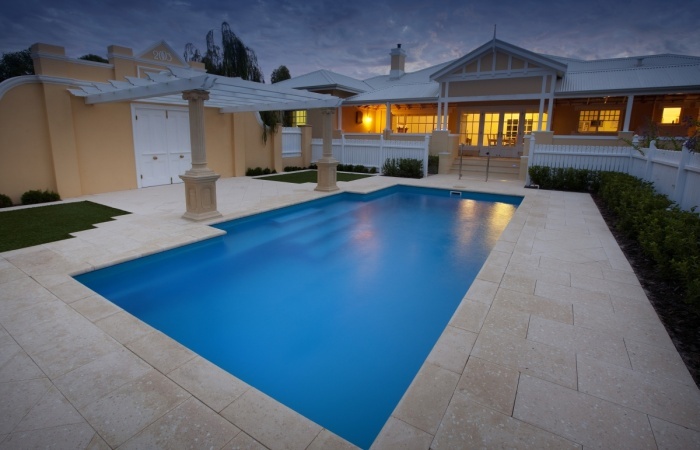 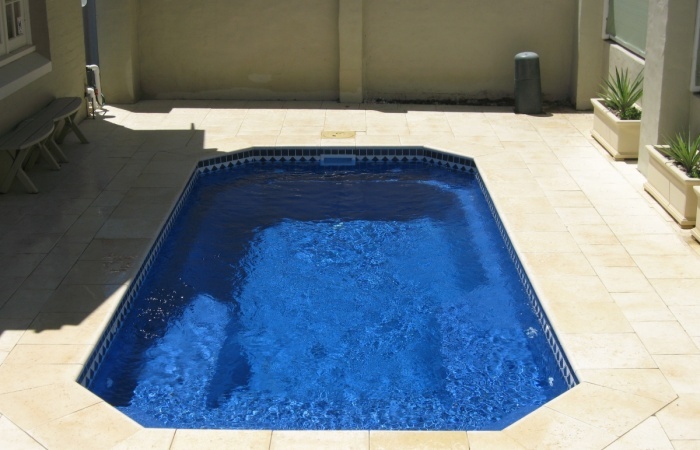 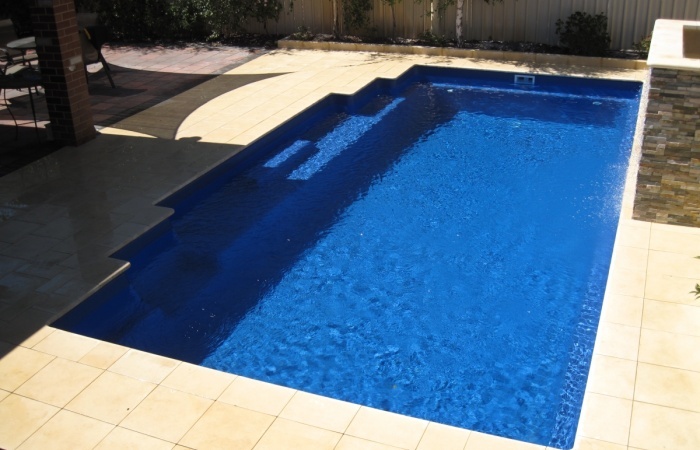 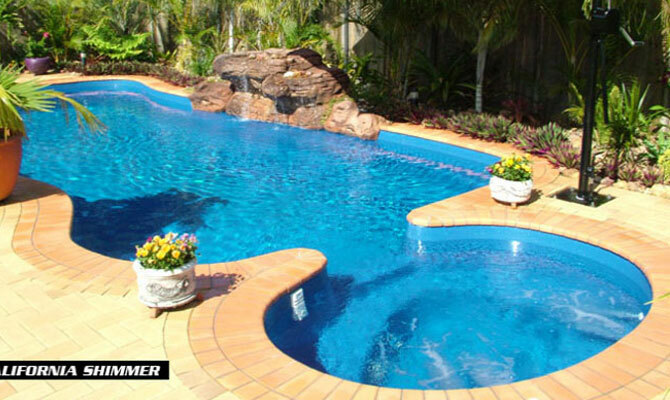 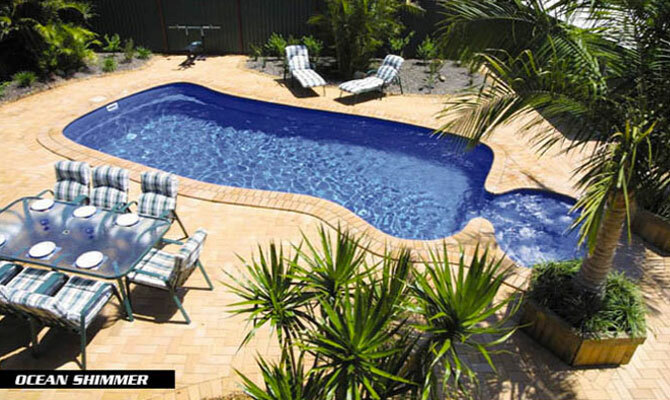 Contact any of our swimming pool dealers for in-ground swimming pool prices around Australia. 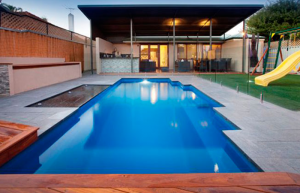 Part of the Moggys Group of Companies.